I know, I know, you all want to see apartment photos. I’ve taken a break the last couple nights after work instead of working more here. Soon I shall be finished unpacking and then there will be photos. Instead, I will share with you the one special dinner I have made since moving in. 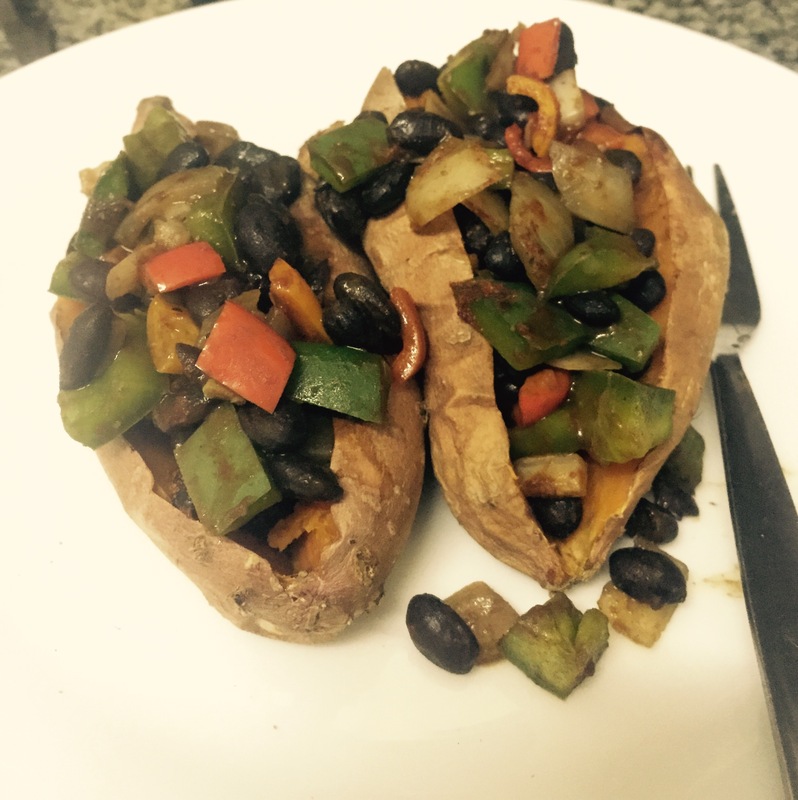 Enter orange-fleshed sweet potatoes with black beans and veggies with lots of spices. I’ve been dreaming of this dinner for a long time and am happy to have finally prepared it. And after dinner the dishes were washed in a sink with hot, running water. What a life! This entry was posted in Africa, eSwatini, Peace Corps, Swaziland, Wednesday photo. Bookmark the permalink.